Flea markets are filled with great bargains that are just waiting to be snatched up. There are a few tricks to getting the best deals and with a little help, anyone can become a flea market pro. Think of the flea market like a game: no price is set in stone, the merchandise is never the same, and it is a battle of the wits between vendor and bargain hunter. It's a lot of fun to play and once you get in the groove, you'll discover why people flock to flea markets. Before you venture out, brush up on your strategy so you can get the biggest bargains. Hitting a flea market in jeans and a t-shirt will help you stay comfortable. Did you know that it can also help you to stay on budget? It's true. First impressions count and flea market vendors often use clothing to determine how much they think a customer can afford. Don't be the overdressed person that's offered an overdressed price. For the best deals at an outdoor flea market, the beginning of the season is the time to shop. Why? Because the vendors are loaded down with fresh inventory from the off-season and they're eager for some income. The same reasoning applies to the very end of the season. While the selection of merchandise may be limited, vendors are often willing to go lower on price so they can avoid storing their wares in the off-season. It never hurts to hit the flea market on the very last day! Hoping to score a real treasure? Hit the flea market as soon as it opens. You will get the first pick of the sale and find the biggest selection of truly unique items. Hoping to score the best price? Go late in the day when the vendors know they have two choices: sell it or haul it home. Remind them of this fact while negotiating, especially when trying to buy heavy items like furniture. Want a better price on that gizmo or gadget? Simply ask for it! Haggling is an accepted and expected practice at flea markets. 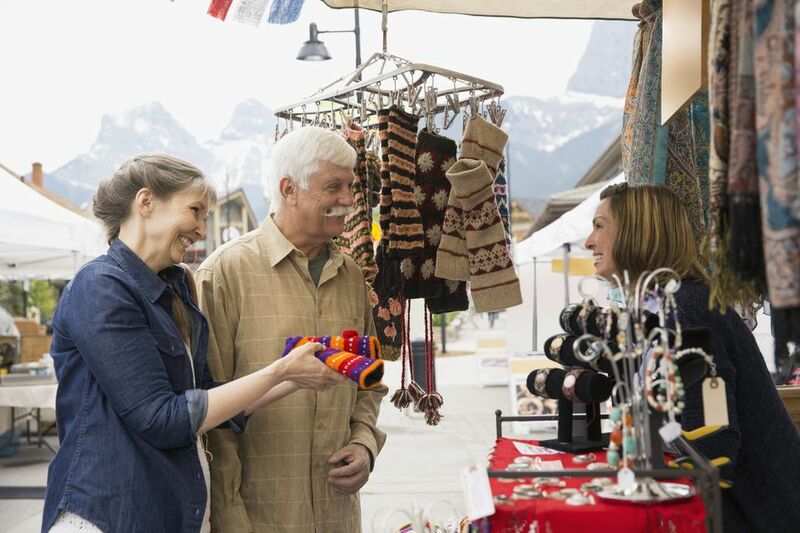 Vendors will know that you're new to the flea market scene if you don't try to barter. Have fun with it and don't worry about offending anyone. Quite often, they'll just chuckle and throw out a higher price if it's too low. Is the seller unwilling to budge on his price? Ask him to throw in something extra--a lamp to go with that table or a pair of pants to go with that shirt. Do you see several items in a booth that you'd like to buy? Negotiate a price for the entire group because bulk sales deserve bulk prices. This is a good strategy if you find one thing you really want as well. After you spy that treasure, take a deeper look at the vendor's merchandise and see if there's anything else you want or need. Bundling is a great way to get the price down on ​big-ticket items or to score a smaller piece for nearly free. Some of the best flea market deals are at the messiest booths. Don't avoid those piles of rust and dust, there might be a rare gem hidden underneath! Sift through the boxes, dig through the piles of junk and pour over the bins filled with random objects. The more thorough you can be at a flea market, the better the find and it's hard to beat the junk pile price. Are you searching for something specific, but having a hard time finding it? Mention it. It never hurts to ask and it may be your lucky day. Vendors often bring extra merchandise to restock their booths throughout the day. They could have what you're looking for on their truck or be able to point you to a section of the booth that you overlooked. The flea market is also a community and many of the vendors know each other. If a seller doesn't have what you're looking for, he may be able to point you to someone who often does. They may also mention that the guy five booths down had one earlier in the day. Are you in love with something you found? Save the victory dance for home (or at least until the sale is complete). You may just dance yourself right into a higher price. If a vendor knows that you're dying to buy something, they also know that you're also willing to pay a little extra. That little bit of excitement could be the difference between a good find or a great deal. Flea markets are all about good finds and great deals! Practice your poker face – or in this case, your flea market face – and use it to get what you want at a price you can afford.